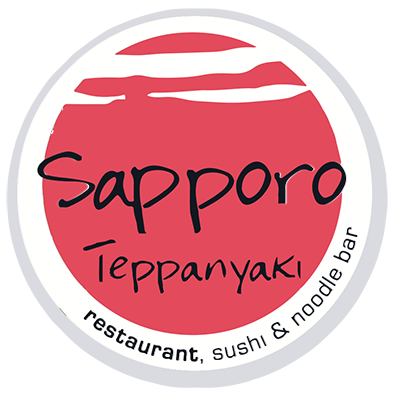 Our customers can expect something extra special when they visit Sapporo Teppanyaki – exceptional Japanese food with a western twist. So whether you’re stopping in for a quick bite to eat or are having a meal to celebrate something special, you won’t be disappointed by what we have to offer. So kangei (it’s Japanese for welcome). We hope to be able to say it in person soon. Our highly experienced chefs are our pride and joy. Each chef has trained for over five years to become a master of their craft. 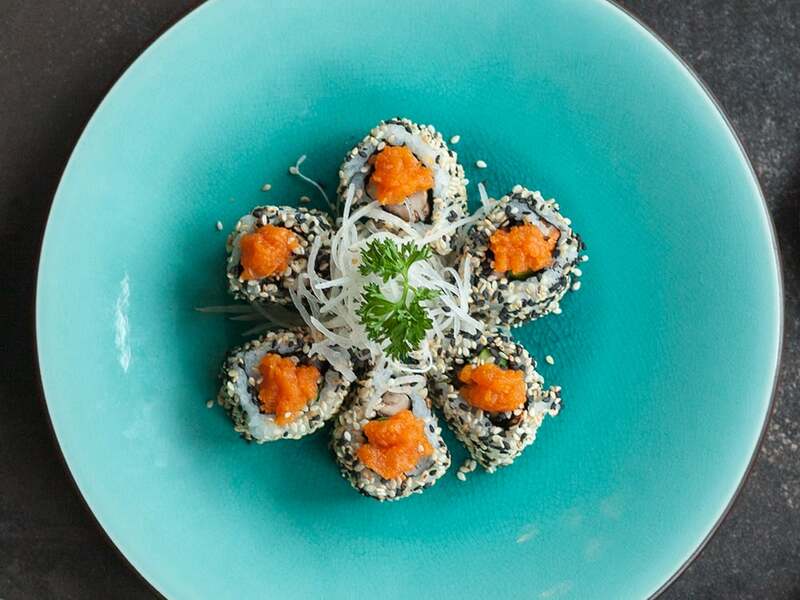 Our team of expert Asian chefs has been hand-picked to bring you the finest of Japanese cuisine. Each year, our chefs return to their home countries to allow them to stay in touch with their roots and their cooking traditions. This also lets them source the best recipes and reinvent them to bring you food that is authentic, inspiring and contemporary. Watching our chefs prepare your meal right in front of you you’ll find the entire spectacle entertaining. Their unique skills are something you’ll not have seen before. And the thrilling interactive experience adds to your visit and will have you dining with us time and again. 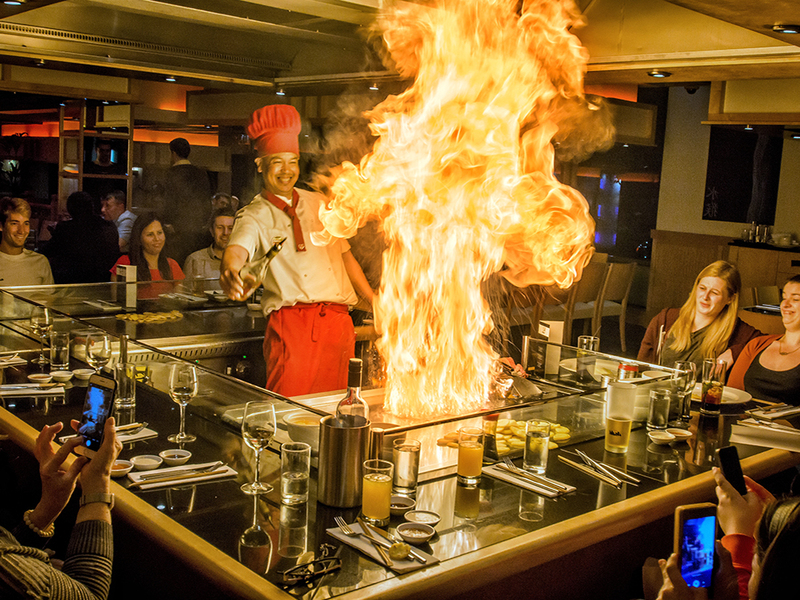 Everything about Sapporo Teppanyaki defies the ordinary, from our displays of roaring fire to the thrilling teppanyaki performance exhibited by our master chefs. Sit back and relax as you watch our talented chefs prepare your meal in a uniquely theatrical style. 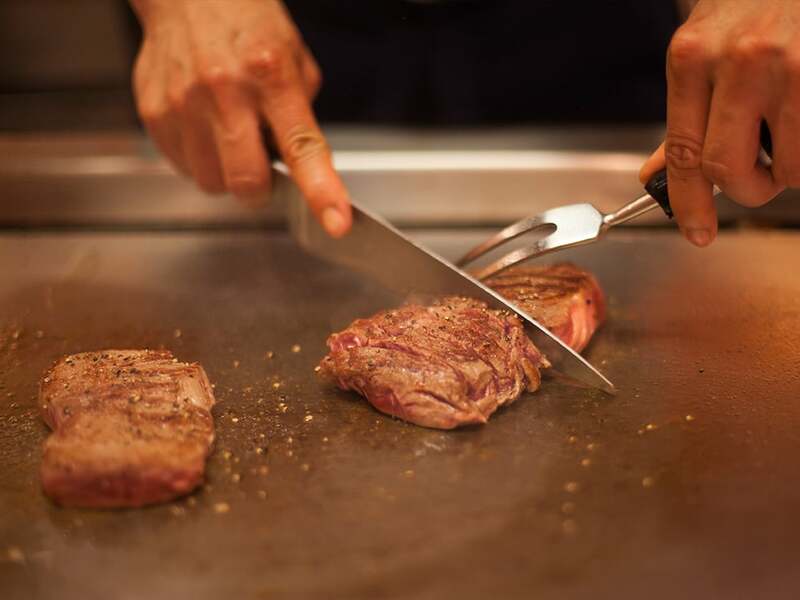 Our teppanyaki dishes are prepared on a traditional, flaming hotplate, where we combine our awe-inspiring performance with masterful trickery in order to prepare some of the most delicious Japanese dishes available in the UK. Treat yourself to a Japanese cocktail or sample a whisky from our fine selection. 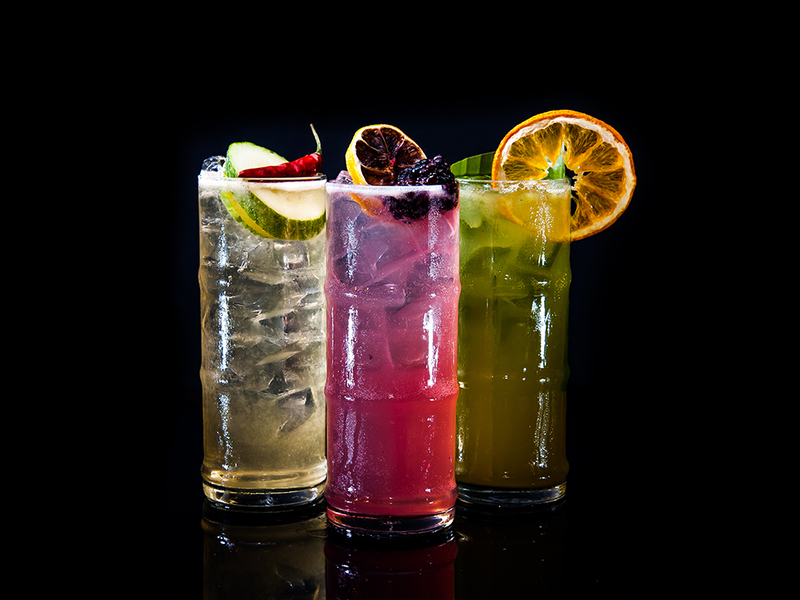 Some of our most popular tipples include the Eager Ninja cocktail, an 18-year-aged Yamazaki whisky and Sake. We also offer the best in Western wine, champagne, spirits, and soft drinks. Old favourites and brave new choices. Our menu brings you deliciously authentic Japanese dishes with a unique Western twist. Each of our recipes is designed to tempt and tantalise your taste buds. Our restaurant is designed to offer a wide range of dining experiences. You can enjoy beautifully crafted dishes from our sushi chefs in the relaxing bar area, or watch, mesmerised, as your teppanyaki dishes are prepared before your very eyes.To bring you the true taste of Sapporo we use only the best quality ingredients and the freshest produce. And our expert chefs prepare each dish to your liking. The finest Japanese dishes in a unique setting; that’s what we offer to each and every customer. We look forward to saying kangei to you soon.